>Not sure how I ended up with my first two Kindle reads being set in the Depression era, one in Alabama and one in Wisconsin, but reading them back-to-back while traveling in Italy was quite a trip! 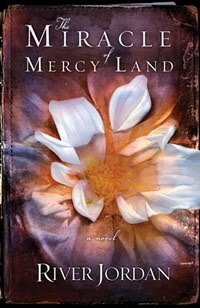 My friend, River Jordan, has outdone herself with her latest, “The Miracle of Mercy Land.” I was going to do an interview with River—as I did when her last novel, “Saints in Limbo,” came out–but then I found this excellent interview, “River Magic,” over at Chapter 16, so I think I’ll let you read that one. Instead, I’ll try to just give a hint of what is so magical about River’s latest work. Set in a very believable place, with very believable characters, she surprises the reader with the interjection of something mystical, magical, that happens in their otherwise very ordinary lives. A magical book appears, and with it, powerful potential for good or evil, depending upon how it’s used. I couldn’t stop turning the pages (or rather, hitting the forward button on my Kindle) to see what kinds of life-changing decisions each character would make next. Would Mercy give her heart to John? But then, would evil triumph over good? The ending surprised me (and I won’t spoil it here) which is kind of a nice thing to have happen at the end of a good book, isn’t it? And then there’s the modern classic, “Crossing to Safety,” by Wallace Stegner in 1987. I’d never heard of him, or the book, which was suggested to me by a close friend just a few days before I left for Italy. I immediately downloaded it to my Kindle and off we went on our journey together. But I also loved Sally and Larry and Sid… and was fascinated by the way Stegner laid out for us their broken humanity with all its beauty and flaws. I know I’m not giving you much of the plot, but that’s on purpose…. I don’t like reviews and trailers that give away too much. All I can say is I loved this book on many levels. For the sheer beauty of its literary prose, for the life lessons the characters learned (and the readers, if we allow ourselves) and for the descriptions of place and time as we traveled with the characters through several decades of their lives. I’m a slow reader, so the fact that I read both of these books in two weeks (and yes, I did have lots of time on airplanes to and from Italy) is a testament to their entertainment value. But also to the Kindle. I’m a fan, now. 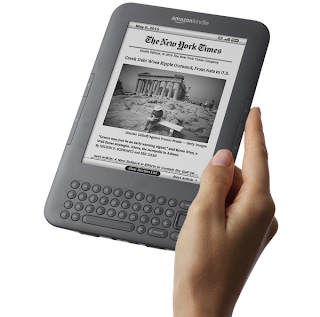 Don’t worry, I’m still buying hardbacks and love to have them autographed, but for traveling, the Kindle is terrific.